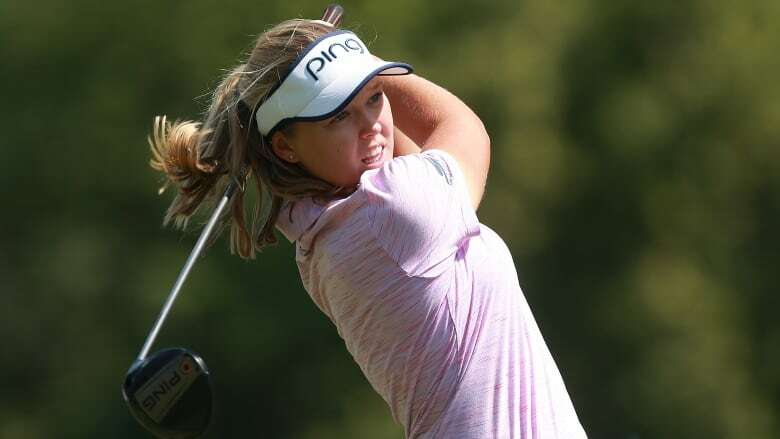 Canada's Brooke Henderson sits two strokes back of leader Thidapa Suwannapura, who shot a 6-under-par 65 in the first round at the Marathon Classic on Thursday. Seven players, including defending champion I.K. Kim and former No. 1 Yani Tseng, were a stroke behind at 66. Henderson, and seven others are tied for ninth at 67. Suwannapura, who has three top-10 finishes in 117 career LPGA Tour events, birdied five of the final six holes, including the par-5 18th at Highland Meadows in Sylvania, Ohio. The Thai player had her last top-10 finish in 2014 at the Kingsmill Invitational. Her best performance this season was a tie for 18th three weeks ago in Arkansas. "I'm really happy about the way I played today," the 25-year-old said. "I didn't really look at the leaderboard, and did not even expect anything. I have a chance, so let's see how it goes."